Founded in 1947 in Västerås, Sweden, H&M is now the second-largest global clothing retailer (behind Spanish company Inditex, parent company of Zara), with more than 3000 stores in 59 countries. H&M’s flagship store, which will be approximately 3000m² in size, will open at the end of November. 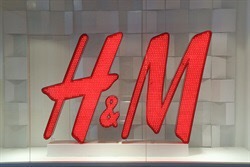 H&M’s only other stores on the African continent are in Egypt and Morocco. Posted on June 12, 2015, in #retail, #southafrica. Bookmark the permalink. Leave a comment.